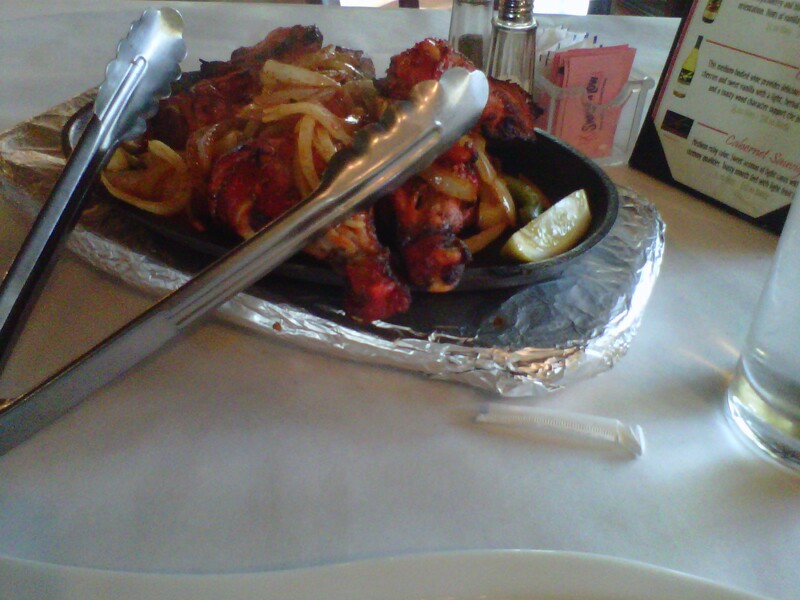 Juicy spring chicken marinated in flavorful, mild, freshly ground spices, and roasted in the tandoori. Served with sautéed lemon and onions. This isn’t spicy at all, the chicken has great flavor, which is even better on the sautéed onions! A succulent treat from North India made from a special dough, fired golden brown and served in a sugared syrup. This dessert is so sweet, I found myself eating the syrup! 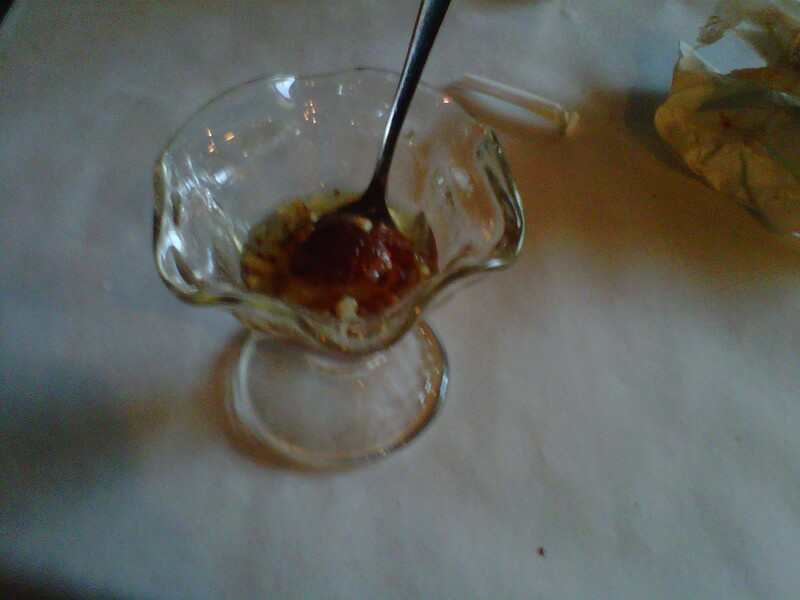 Sidenote: There was much more in the bowl than what I’m showing…I took a few nibbles before taking the pic, lol!